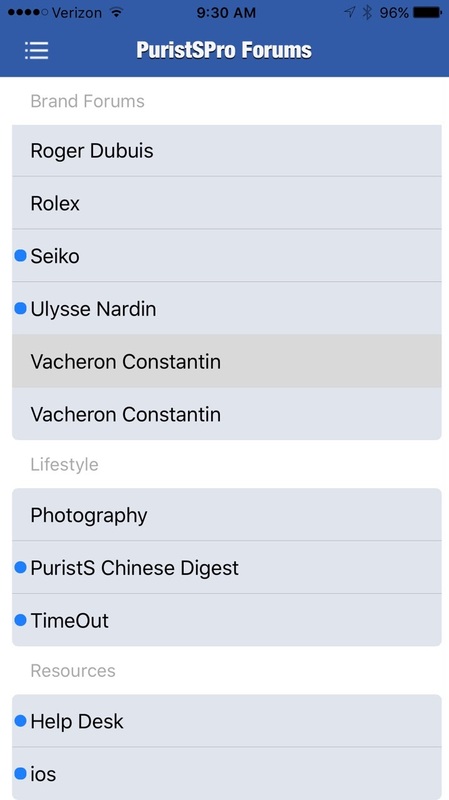 Maybe it's just me, but on my iPhone 6S plus running 10.3.3 I show two Vacheron tabs when viewing via the app. I believe I have the latest app version as I don't see any unloaded updates. Not a big deal as both tabs work...just thought I'd mention it. The forum list is data driven. ...thanks for the help. It wasn't any big deal but I thought it might be a bug that affected a lot of people. Odd though, that I don't remember doing any kind of customization... Thanks again.